MOOSIC, PA (February 8, 2019) - The Scranton/Wilkes-Barre RailRiders, in conjunction with the Governor's Advisory Commission on Latino Affairs, will host a gala at PNC Field on March 29, 2019, at 7:00 P.M. Tickets, tables and partnerships for the event are on sale now, which will also serve as launch party for the RailRiders inaugural season in Minor League Baseball's Copa de la Diversión Latin and Hispanic initiative. On September 24, 2018, MiLB announced that Scranton/Wilkes-Barre, the Triple-A affiliate of the New York Yankees, will be included in the expansion of Copa de la Diversión from 33 to 72 teams for the upcoming season. The RailRiders will announce their new, Copa-themed identity and logo on March 18 at 1:00 P.M. During the gala, the RailRiders will unveil plans for their participation in Copa de la Diversión as well as their on-field uniforms. "Copa de la Diversión has made great strides across Minor League Baseball," said Josh Olerud, the RailRiders Team President and General Manager, "and we are excited to get involved. MiLB has created a strong model to help engage the Latin and Hispanic communities. We know this initiative will help positively impact a segment of our population, not just by what we do on the field, but how we take this program into Northeast Pennsylvania." Individual tickets and tables of ten are available now. The SWB Pinstripes Foundation is the fiscal agent for the Copa Gala and the Copa fundraising campaign. The SWB Pinstripes Foundation is a registered 501(c)(3) tax-exempt non-profit organization. All contributions are tax-deductible to the fullest extent of the law. Established by Executive Order 2015-08, the Governor's Advisory Commission on Latino Affairs (GACLA) is dedicated to advising the governor on policies and legislation that impact Latino American communities. GACLA and its commissioners have proficiently served Pennsylvania's growing Latino Community since 1971. Our aim is to contribute to the governor's goal of government that works, schools that teach, and jobs that pay. 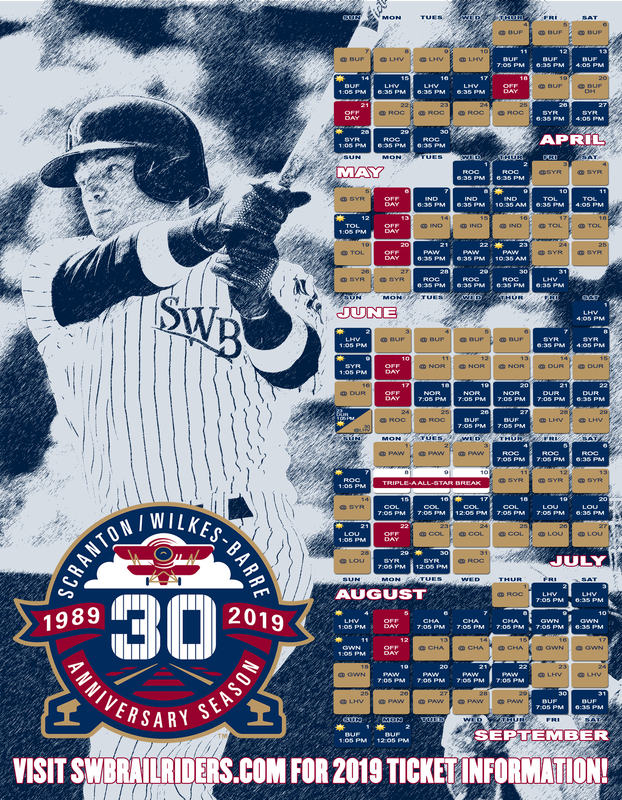 Information regarding Copa de la Diversión and gala partnerships, as well as tables and tickets, is available now by calling (570) 969-BALL or by visiting swbrailriders.com.